Palestinian Prime Minister Mohammad Ishtayeh talks during a swearing in of the new government in the West Bank city of Ramallah, Saturday, April 13, 2019. 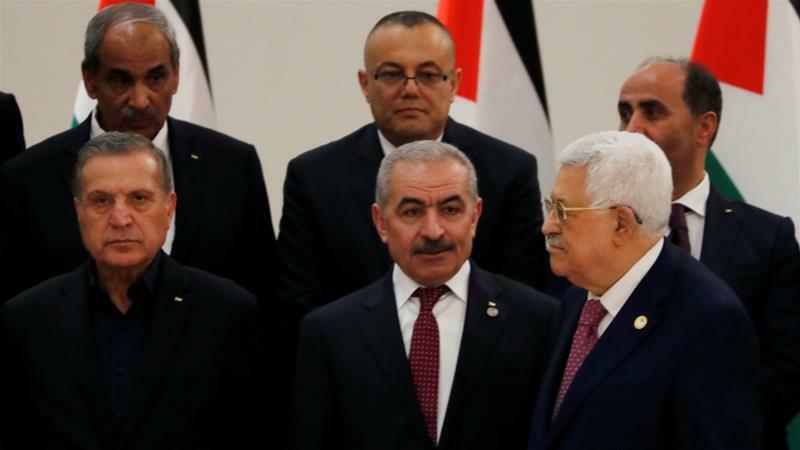 New Palestinian government sworn in with Abbas loyalist at its helm. Foreign Minister Riyad al-Maliki and Finance Minister Shukri Bishara will continue in their positions. "This is a separatist government, it has no national legitimacy and it will reinforce the chances of severing the West Bank from Gaza." Regarding Israel's withholding of the Palestinian tax revenues, he said "the Israelis told us that after the Israeli elections that they can talk about this issue". The PA has refused to accept any tax transfers until those funds are restored. If implemented, the move would be a grave a blow to Palestinian aspirations of a two-state solution based on the 1967 borders. The former leaders claim, the United States has departed from long standing policies and has "demonstrated a disturbing indifference to Israeli settlement expansion".